Today’s Treasury Tuesday holds a little place in my heart. 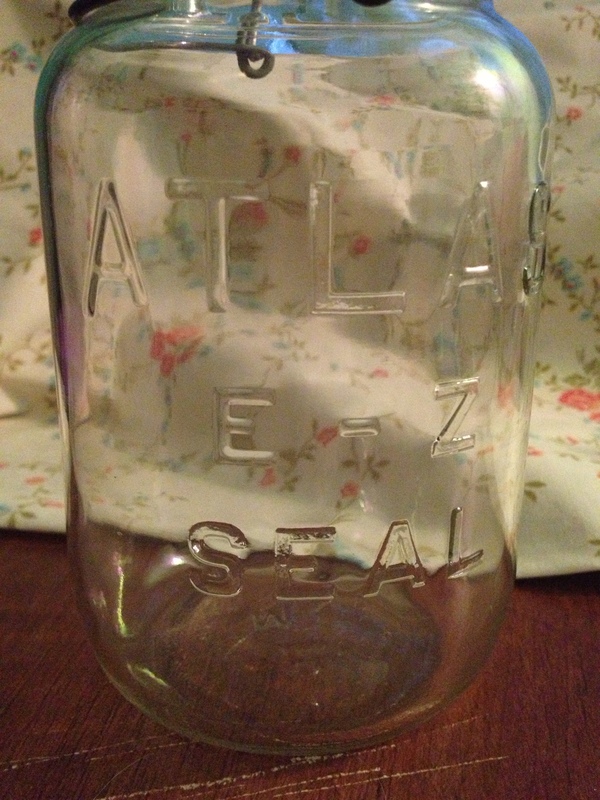 Mason jars have made a huge comeback in the past few years as a key piece of decor or usage, especially within the crafting world. We know from past posts that I adore them, especially being from the country. 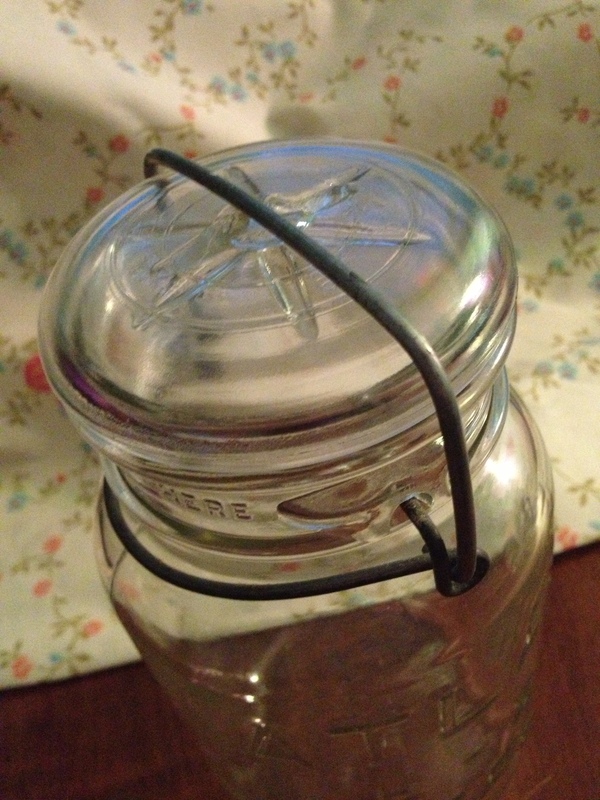 Who knew there would be so many different ways to use them now besides preserving fruits and veggies! Last Sunday at my cousins baby shower, my Mom’s cousin gave us all a special gift. 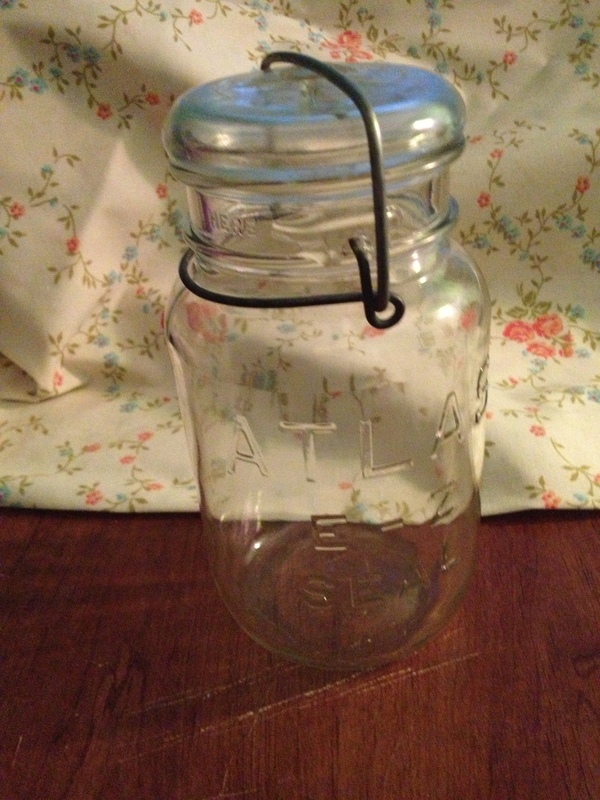 She had found my Great-Grandmother’s old canning jars and gave us each one as a memento. How special is that?! She wrote up the whole history of the jars, some of the original blue Ball jars (which, I found out were blue due to a mineral they used in the sand) and some the Atlas jars with glass tops, and no one knew which jar they got until they opened their bag. 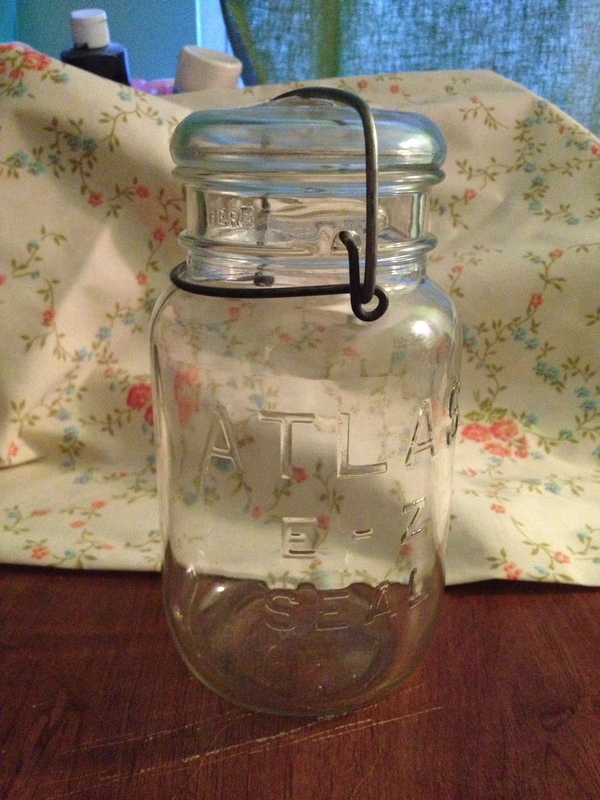 Upon opening my bag and reading the history of these fantastic jars and how long they had been with our family, I found that I got received one of the original Atlas jars with the glass and clasp lid. Knowing that this was once owned by my great-grandmother, someone I never had the pleasure to meet, made my heart swell. I love learning about my heritage and always know that my family has some great stories and history to share with us. Such an amazing and special gift Dolores gave us all. I can’t wait to be able to pass this down to my children and relay the story to them some day. I can honestly say I’m not sure which item is my favorite out of this weeks treasury! Check it out!